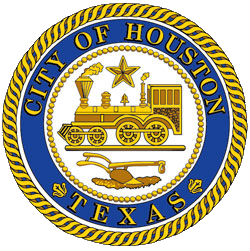 Mayor Sylvester Turner’s Hire Houston Youth jobs program is open for summer 2019. All youth ages 16 to 24 in the Houston area can apply for paid jobs and internships in many kinds of industries, non-profit organizations and businesses as well as City of Houston government. Visit http://hirehoustonyouth.org/ to apply. Click on the “youth” tab, create an account, and choose a job to apply for. We also encourage youth to follow Hire Houston Youth on social media on Instagram and Twitter @hireHOUyouth. “Hire Houston Youth empowers young people from many walks of life to ‘earn and learn’ as they plan and train for full-time jobs in Houston’s dynamic economy,” Mayor Sylvester Turner said. Selected applicants will be paid at least $8 per hour for at least 7 weeks during the summer, and some employers are seeking immediate placements. More employers are urged to join the program. Mayor Turner has set a goal of 10,000 jobs for summer 2019, up from 7,500 last year. He started the program in 2016 with 2,500 jobs. In lieu of providing summer jobs, employers can make a tax deductible $2,500 donation to sponsor a subsidized youth to work at a non-profit organization, and/or become vendor at a job or career fair.